Looking for a Way to Learn More About the Bible in 2017? 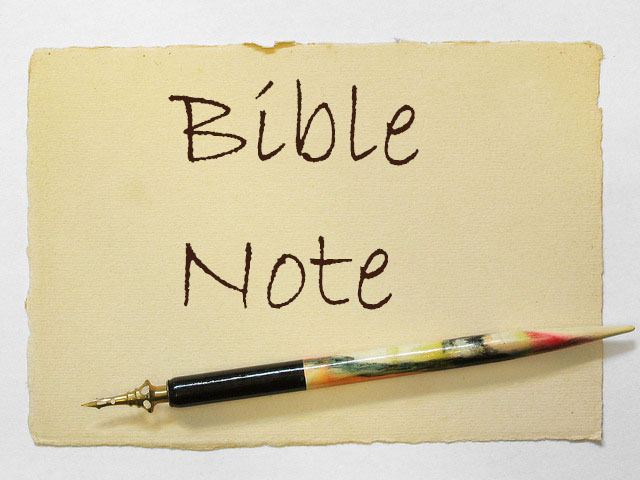 Why not subscribe to our new newsletter, Bible Note? Each week you will get a very brief Bible lesson along with a suggested Bible reading for the week. Topics will rotate between Old Testament stories, lessons from the Gospels, wisdom from the Psalms and Proverbs, and lessons from the New Testament letters. Our first edition is scheduled for Sunday, January 8th. We’ll also link you to the latest sermons and articles on our website so you never miss a thing. We will never share your email and you can unsubscribe anytime you like if you decide it’s not for you. Just sign up below.